Urban Maintenance Inc. has over 30 years of combined experience in the construction industry. Our goal is to perform quality design, remodel and maintenance services specializing in condominiums. Seattle Remodeler & Custom Home Builder Best of Houzz 2012-2016! Ventana Construction is a full-service professional remodeler and custom home builder. We build custom homes from the ground up as well as large-scale remodels and additions. Founded by native Seattleites, Joe and Matt Monda, Promondo is a boutique construction company grateful for the opportunity to help participate in the re-building of modern-day Seattle. General Contractor with over 25 years experience providing home remodel solutions. We take on projects of all sizes, including kitchens, baths, basements and whole house remodels in the Seattle area. As a customer of Flying Dormer, you can expect courteous, personalized and professional service from craftsmen who care about your project, are responsive to your requests, and possess the skills and experience needed to complete even the most challenging home remodeling project. I look forward to working with you and making the home you envision become a reality! Contact us for more information and to check our service area. Best of Houzz 2019 Winner. Chapman Construction LLC is a general contracting company specializing in remodels, finish carpentry, wood floor refinishing, tiling and new construction. James Dalton Construction LLC provides young professionals and families with high-quality kitchen and bath construction at a fair price. John Piazza Jr. Construction & Remodeling, Inc. is owned and operated by John & Kim Piazza. Our strength is our team of personnel’s who have over 80 years of combined experience in the construction industry. We serve Skagit, Whatcom, Island, and North Snohomish Counties. We are a general contracting company performing all aspects of residential and commercial construction, including new custom home construction, additions, kitchen remodels, bathroom remodels commercial & tenant improvements. We also work with insurance companies to repair and restore residential and commercial buildings which have sustained damage. Our experienced team will walk you through the building process from design to completion. We work with you every step of the process to ensure your satisfaction. Our creativity and attention to detail are evident from the time you step into our office. We have created an atmosphere which is more like a home than an office. We have longstanding relationships across the industry with architects, subcontractors, and tradesmen of every skill set that allow us to serve our clients in meeting any construction challenge. In 1947, Neil B. Kelly started a remodeling company on a $100 investment and built it into a nationally recognized, award-winning business. Stop by and visit to get inspired today! Creative Kitchens & Baths Seattle is your one stop source for complete kitchen and bathroom remodeling needs. 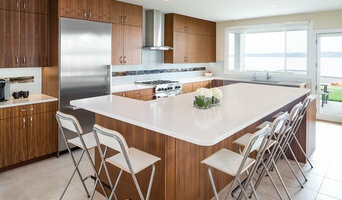 From floor covering to cabinets to ceiling and everything in between, Creative Kitchens & Baths Seattle has everything necessary to deliver your dream kitchen or bathroom. We offer the quality products, excellent service, and professional installations that go above your expectations. Our full design and installation services includes the removal of existing cabinets and countertops as well as the installation of the new cabinets, flooring, countertops, painting, plumbing, electrical, drywall work and modifications to the physical space. All coordinated to deliver your dream on time and on budget! We provide free in home design consultations. We also offer unique design idea's, an estimate based on your budget along with 3D images. Our vast array of German kitchens feature high end, customizable design solutions that offer roughly 2,000 color options, and a wide variety of finishes to choose from. Kitchens and bathrooms are two of the hardest-working spaces in any home. When it’s time to update them, ensure that they stay at peak functionality by hiring a Lake Forest Park kitchen and bathroom remodeler. 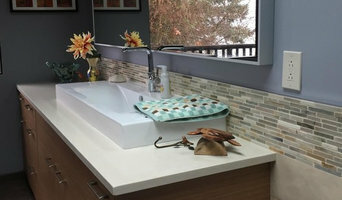 With an eye for aesthetics, a practical approach to layout and design, and the skills of a contractor, a bath or kitchen remodeler in Lake Forest Park, WA can help you execute a remodel suited your personal style and needs. What does a Lake Forest Park kitchen and bath remodeling expert do? Licensed Washington kitchen and bath remodelers are contractors who specialize in altering the structure of an existing space, rather than building one from the ground up. Because he or she must deal with a previous builder’s work, the job can get more complicated than new construction. You might wonder why they often specialize in both kitchens and bathrooms, but if you think about those two spaces, they actually have a lot in common. Kitchens and bathrooms include an abundance of fixtures that require careful planning and installation, including sinks, faucets, tubs and toilets that all need water hookups and drainage. They also use similar materials, such as tile and stone for countertops and flooring, due to the nature of their use. So it makes sense that Lake Forest Park kitchen remodelers and bathroom remodelers be one in the same. A bathroom or kitchen remodeler translates architectural plans from page to reality; some are also trained to provide design services so that you don’t have to hire a separate pro. Like a general contractor, a kitchen and bathroom remodeler in Lake Forest Park, WA is responsible for hiring and supervising subcontractors and providing materials when necessary. They also should have a thorough knowledge of Washington building codes and construction-related legal issues, as well as current design and product trends. Here are some related professionals and vendors to complement the work of kitchen & bath remodelers: Woodworkers & Carpenters, Kitchen & Bath Designers, Interior Designers & Decorators, Architects & Building Designers, General Contractors. Find a Lake Forest Park kitchen and bathroom renovator on Houzz. Narrow your search in the Professionals section of the website to kitchen and bathroom remodelers in Lake Forest Park, WA. You may also look through photos of Lake Forest Park, WA spaces to find kitchens or bathrooms you like, then contact the bathroom or kitchen remodeler who worked on it.